Anyway, the drizzly days were similar to a couple of days we had in Ireland last October .. and this is one of those days .. when we visited Croagh Patrick in County Mayo. 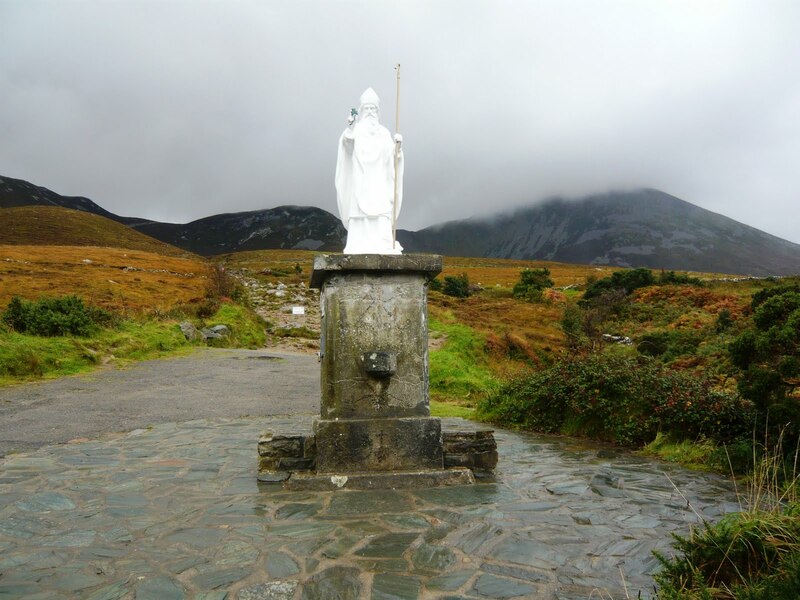 Croagh Patrick is a holy mountain named after St Patrick who is said to have spent 40 days fasting and praying for the Irish at it’s peak in AD441. 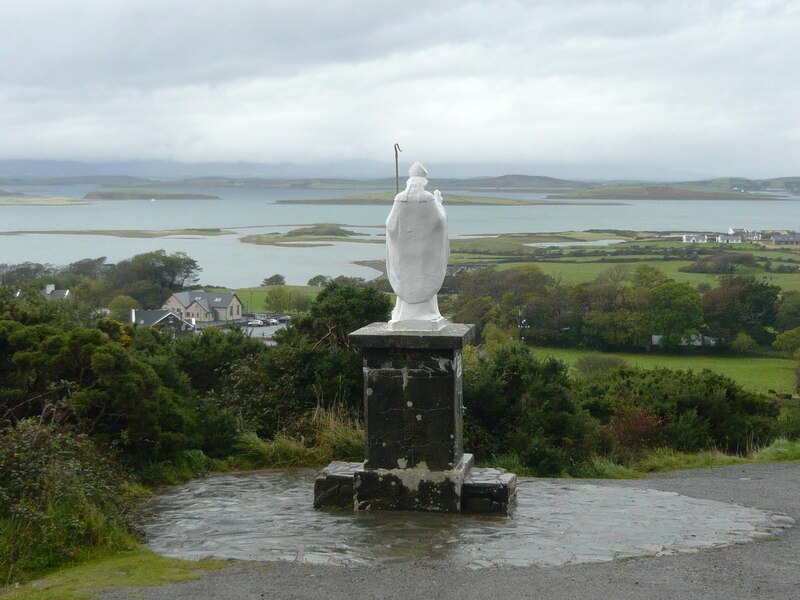 If it hadn’t been so wet and slippery we would have climbed a little of the way up – 2 510 ft (772 metres) – the photo above shows the mountain shrouded in cloud and the photo below shows the view from St Patrick’s statue overlooking Clew Bay. There is a chapel at the top of Croagh Patrick, built in 1905 at a cost of $100, and took 12 men six months to build with materials drawn up the mountain by donkey or horseback. That is just the perfect spot for a statue. I always think the best spots for statues and monuments are somewhere with a view. I think your drizzle is coming our way. The next couple of days are going to be rainy here as well! I hope the sun shines afgain soon for the both of us! My family come from Ireland, my mom's side…they are Hylands…My grandpa, his son, my brother are all Patrick Hyland's…My grandpa was born on St Patrick's day as well…I think its going to rain here as well…but its okay we need rain as been so hot and its spring…. It’s my Mum’s birthday today ! !